A house extension is often the most cost-effective way of creating more space for an expanding family. Moving to a new house can be expensive and a lack of local options makes this a daunting thought. At Andrew Black Design, we excel in creating innovative solutions to problems with existing houses, whether it is reconfiguring a poor layout or extending to create more usable space. 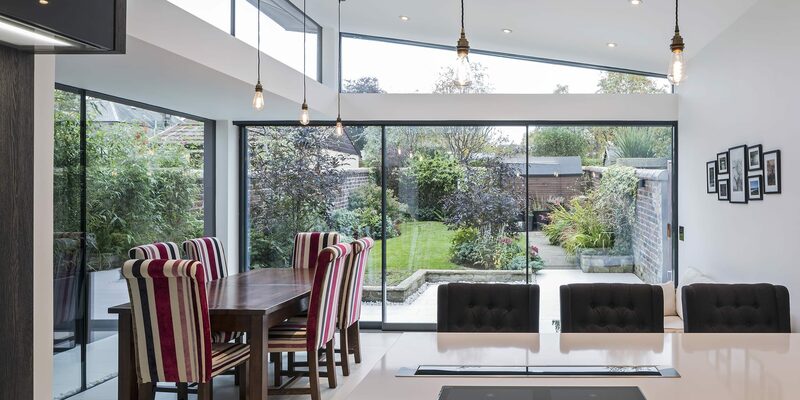 From simple kitchen extensions to large glass sun-rooms, we can enhance even the humblest house. We can take you from concept design stage, through planning and building approvals to helping with a trusted local builder. We advise our clients, except for the most basic of projects, to employ Andrew Black Design to carry out a full architect service from stages 1 to 10. The services below (1-7) are generally the minimum you require from your Architect, to cover your legal responsibilities and are suitable for simpler projects for experienced clients only. We offer a no-obligation, first consultation free of charge. We find it easiest to meet at the property in question. This way, you can explain your hopes for the project and we can highlight opportunities and constraints and explain the process. We will then send you an appointment letter, detailing our services, associated fees, other consultants required and the next steps. Once our appointment has been agreed, we can move on to setting out your brief or wish-list. This will include your basic requirements, likes and dislikes, aspirations and budget. We prefer to spend as much time as required getting this right, as it influences the design process moving forward. We often find that it is helpful for clients to research the type of projects that inspire them, prior to starting the design process. This can make the process faster if the client knows what they like and, indeed, dislike. At various stages throughout the project, you will need other consultants to support you in your project. Each project is different but a few of the typical ones are Structural Engineer, Quantity Surveyor, Aboriculturist’s (who deal with tree constraints), Flood Risk Assessors, Sound Consultant and Fire Consultant. We will advise you at the appropriate times which consultants are required and recommend suitably experienced ones. If working on an existing property, we will carry out a detailed survey of the property, using our bespoke survey equipment and software. This gives us an accurate CAD drawing which will allow us to start the design process from a position of knowledge. If we are working on a new site, we can recommend a local land surveyor to carry out a detailed survey on your behalf. This is where we will explore ideas, initially in a sketch format to suit the project. We will look at layout, outlook, sun path, site constraints and neighbouring properties. We will often create two or three proposals to maximise the options and how spaces interact. It might be that we amalgamate ideas from differing options to create a further or final design. At this stage, we will work up the design proposals to an agreed solution, including looking at the exterior and interior design in more detail than at the concept stage. We look at materials and how they interact and use 3-D software to show the building in a more understandable way. On some occasions, where the application is more contentious, we will contact the local planning office to discuss the project prior to making a formal application. The next step is to prepare the drawings and make the planning application. We deal with all the administration involved in making a formal planning application on your behalf. Prior to starting your building work, you need to gain a Building Standards Approval, which is required for all but the most basic work. This includes a detailed pack of drawings, which sets out items like insulation, suitability of materials, structure, and drainage. We will liaise with other consultants such as the Structural Engineer and apply and administer the application to the local authority on your behalf. We prepare detailed construction drawings, schedules and specifications to convey all the building construction requirements to the builder. This goes well beyond the more basic drawings required for a Building Standards Approval and includes items like floor and wall finishes, lighting specification, staircase design and even down to door handles. The builder won’t be able to price your project accurately if they don’t have this information and providing a full set of production drawings, avoids issues and disputes at later stages. The success of your project will be linked to the builder you choose to construct it and how your agreement is set up. We advise that you seek competitive tenders from suitable companies and we can manage that process for you, sending out the paperwork and checking tenders for you. We can also recommend builders we have worked with successfully in the past. We often come across projects that have no formal agreement or contract, making disputes difficult to manage and resolve. As such, we will set out a formal contract between you and the builder, prior to starting the work. This sets out when they get paid and how much, how we deal with changes, what happens if the project over-runs and how defects are dealt with. We will inspect the works on site on your behalf, checking for conformity with the contract drawings and that workmanship is to a suitable standard. We also liaise with the builder to make sure you receive the suitable certificates and paperwork at the end of the project. We prefer, where we can, to provide you with a fixed cost for your project. 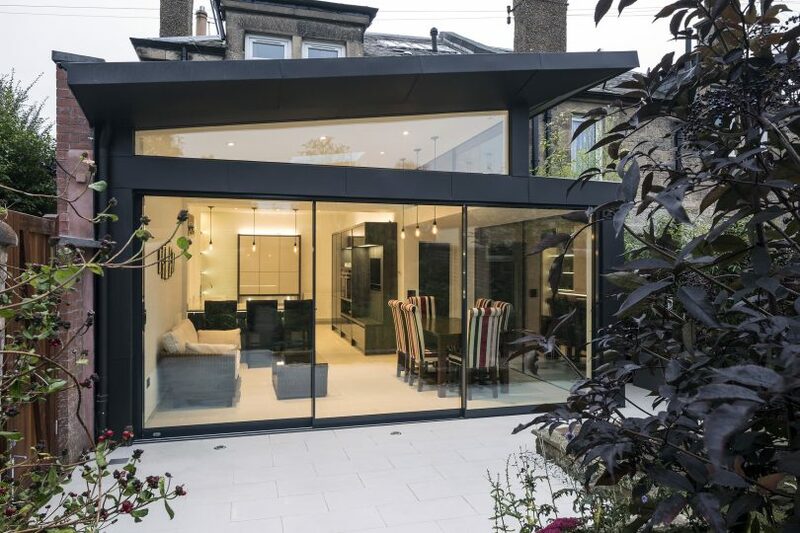 We have detailed below a generic proposal, based on a bespoke house extension, such as a sun-room, costing in the region of £50,000 excluding VAT. The complexity of the design and site matters may reduce or indeed increase the fee, so please get in touch to get an accurate quote. Note – Consultant fees and application costs are excluded and paid direct by the client.